Gatherings are interesting when you work in advertising, or marketing; or anything tech-related for that matter. Conversations around SEO and SEM are bound to come up; especially if part or all of your business strategy involves earning income online. In that case, you can expect some pretty interesting questions from family members and friends about what you do. The marketing and tech industries are so full of buzzwords and jargon that it’s easy for outsiders (as well as some insiders) to get mixed up on what the terms mean. 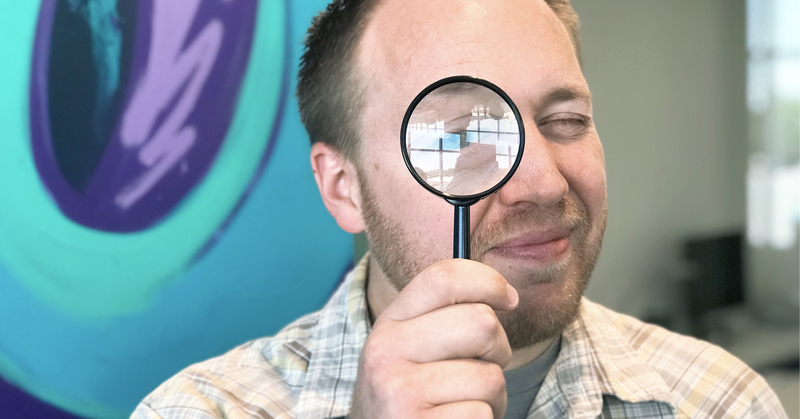 Today, we’re breaking down two of the most commonly confused Internet marketing terms – SEO and SEM – and explaining at a high level, what each means. In the weeks ahead, we’ll take deep dives on each topic but for now, let’s just cover the basics of what they are and how they differ from each other. Type the above phrase into Google and you’ll get a host of results, from dictionary definitions to articles explaining what SEO is and how to use it. Technically, it’s an acronym that stands for Search Engine Optimization. But that doesn’t tell you much. To understand that definition, we have to break it down a bit. First of all, it helps to think of the Internet as the new marketplace where retailers and consumers find each other and do business. Google, Bing and Yahoo are all search engines that act like yellow and white pages used to; they are our directories and guides to accessing information, including businesses, products and services, online. To be found online today, you need a website or at least a landing page, and then you need to show up in search results. SEO is the process of making sure you get quality traffic to your website or landing page. Before we break down that definition, it’s worth noting that originally, SEM referred generally to all the activities you would take to drive traffic to your website. So, SEM encompassed SEO in the same way that ‘shoes’ encompasses ‘running shoes.’ SEO is just a subset of the SEM category. We’ll dive into these terms in the weeks ahead, but for now, it helps just to distinguish SEM as paid search marketing and SEO as organic search marketing. Both SEO and SEM are necessary elements of a healthy online marketing strategy. While we’ll take a deep dive into SEO trends and tactics next week, knowing a few key terms upfront will help the details make sense. Quality Traffic: This is just getting the right people to your site; your ideal audiences who are most motivated to buy your products or services, and it’s a critical component of any good SEO strategy. Quantity of Traffic: This is quite simply the amount of traffic coming to your web pages. You want it to be as high as possible, because the more ideal visitors who come to your site, the more sales you are likely to generate. Search Results: This is the list of items that show up after you type or say a phrase or question into a search engine. Paid Search Results: These are results that brands or businesses paid to show up in response to your search phrase. They are usually set off by a different color or with the word “ad” beneath the title. Sometimes they’re easy to distinguish and other times they’re not. Organic Search Results: These are results that are NOT paid for. As you can see in the image below, the top two results for the search term “SEO strategy” are ads. 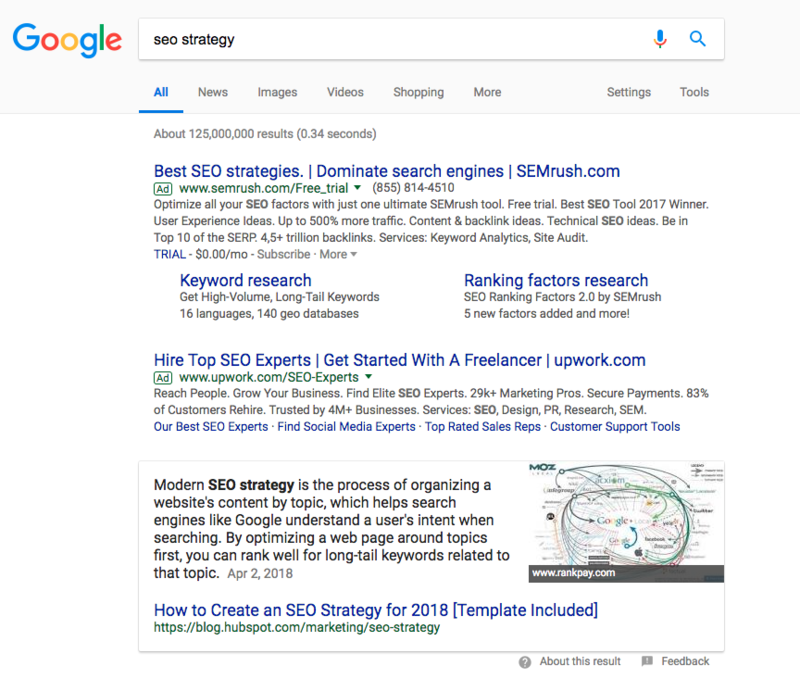 The third result, which is the ‘featured snippet,’ is an organic search result. An entire industry has risen up around SEO and SEM because both are critical to driving business growth. If you want to thrive in today’s modern digital world, invest the time and resources into a smart online marketing strategy that includes both SEO and SEM tactics. If you’re not sure how to do that or where to start, call OBI Creative. Our digital team is ready and able to help you attract more of the right people to your web pages today.